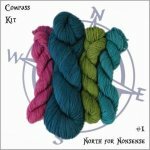 You won’t lose your way with their new Compass Kit. One 4-oz skein of our Mad Hatter sport, plus three 1-oz skeins will take you on grand knitting adventures through uncharted (or charted) territory! 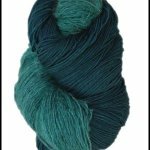 Start off with the Compass Arrow shawl pattern. 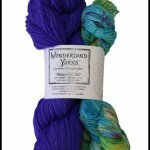 Use their scrumptious Mad Hatter sport weight yarn to knit the popular Messenger Shawl, two striping slouchy hats, or a hat and matching pair of mitts. The easy-to-follow patterns are all included in the label. 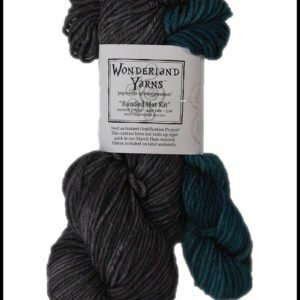 Call the shop to check colorways that are available, and to order!